Servers are still quite populated on the PS4, pretty fun multiplayer. Smoothest of the Advanced Movement CODS. I got this for £1 from Game on PC back in the day, I was sure the cd key had probably been used.... NOPE! It has the best Single Player I've played from COD since 4, I loved it, I don't get the hate other than if you play the MP... but I don't. How many are playing MW Remastered online? Genuinely good game. Lots of s***e CoDs over the years but this was a real surprise. Only bought it to get MW Remastered and ended up enjoying it more. Bought this from Asda at this price around the same time last year - enjoyed the campaign and think it's def worth £5 for that; never bothered with the multiplayer. 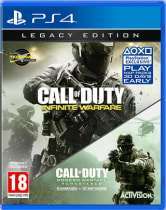 Pretty sure the Legacy Edition, which also includes Modern Warfare Remastered, can also be had really cheap nowadays? Im guessing you havnt played black ops 4 yet then lol. Is this the Day 779 edition version ? 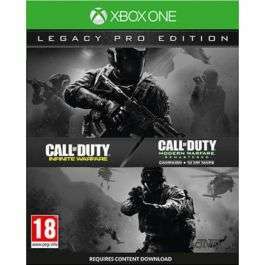 This is actually an awesome deal, considering the Xbox One edition contains MWR on disc, so there's no chance that you will miss out by buying it preowned (unlike PS4 where its a redeemable code so its always a lottery whether someone has already used the code or not, most likely they will have). Only possible downside is you have to have IW installed to be able to play MWR so that's ~45gb you need to keep spare for IW, and another ~75gb or so for MWR, total ~130gb, quite a lot for 2 games but I guess worth it, if you actually like IW like me. Yep, this was it a week before Christmas: I got this one around Black Friday for a tenner. Took the above picture as someone I know wanted MW remastered. Mine was for the Xbox One FYI. No DLC added when installed game. Never miss a 'Call of Duty: Infinite Warfare' deal again! Or for the campaign/ zombies imo. I picked this up on a whim as I'm not usually into the CoD scene, especially the multiplayer, but I actually thought the campaign was pretty decent and the zombies mode was really well done; very fun experience even playing solo (which I can't say for the 2 previous iterations I tried years ago). Hope it's not a Saudi version, same as Coolshop sent out. Was a pain having to set up a Saudi PS account. Ordered on 5th December Still not arrived Now 13th December Anyone else had issues? Is the main difference between this and the regular legacy version the Call of Duty Infinite Warfare Season Pass? Non Pro version was posted here last week for £7.50 from Coolshop but is OoS at mo but worth keeping an eye out. Not bad. Also £4 S/H in CeX if you're happy with a copy without the wrapper! Got to worth a punt for the single player. Ta, bought. The single player campaign in this is a lot of fun. Worth the price for great campaign. Inc COD 4 which let's be honest would be the reason to buy this. That definetely wasnt mentioned before I bought it! Annoyed! I've just ordered the Xbox One version. Must have had more stock delivered. So you need a code for the PS4 version or not? You don't need a code with the Xbox One version. Why would it be included? I thought you need a code in the pack to play the remastered... And that will be used? Is the Zombies good in this? If its anything like Advanced Warfare, multiplayer matches were impossible to find after a few months, needs a dedicated server system like BF games have where you can see servers with activity. Is this not free on psn? I cleary do not understand the cold voting. Since when is £5 a bad deal? No, that's Advanced Warfare. This is Infinite Warfare. Worth a buy for the single-player. Truly fantastic! That doesn't actually tell the full story as Modern Warfare was not a Steamworks game like MW2 and others since but the numbers will be lower than 8 years ago of course. If you do decide to play it again, I recommended getting the steam activated version as the manual patching isn't fun. I haven't played it in years but its the only one I would go back too. Infinite Warfare and also COD Modern Warfare remastered. the musn't have sold as many as they wished, now they are practically giving them away the remaster still busy ? MW remastered is on disc? Or just a download code for the game? 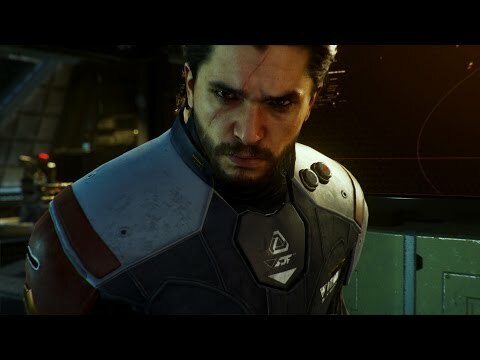 In CoD: Infinite Warfare players control Captain Nick Reyes of SCAR (Special Combat Air Recon) and battle the forces of the SDF (Settlement Defense Front) for control of the solar system. New campaign and zombie modes combine with zero gravity environments to create compelling new gameplay situations. Players visit asteroids, planets, and satellites in a battle for the control of space. 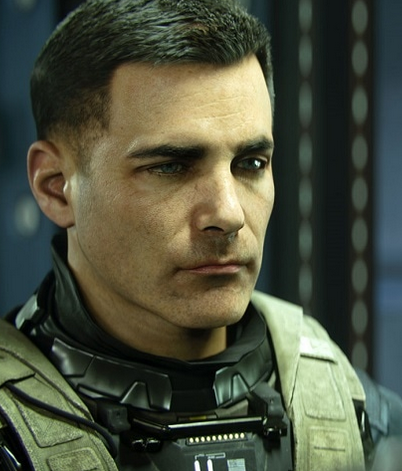 Infinity Ward started development of CoD: Infinite Warfare back in 2014. It is the 13th instalment of the Call of Duty franchise, which first arrived back in 2003. Early versions focused on World War II, before Call of Duty 4: Modern Warfare moved the game to a modern setting. Modern Warfare 3 moved the franchise into the near future before the current version of this first person shooter (FPS) game into space. To date, the series has sold more than 175 million copies, with revenues of more than $10 billion. Call of Duty: Infinite Warfare is available for PC, PlayStation 4 and Xbox One. There is no version for the PlayStation 3 or Xbox 360. The game plays well on all platforms but playing with an Elite Controller on Xbox One gives players a particularly good gaming experience. On the other hand, the PlayStation 4 version received downloadable content 30 days before the Xbox One. The PC version has a smaller user base, so finding matches for online gaming may be more difficult. Standard Version – The standard version of CoD: Infinite Warfare consists of the basic game with no frills. It's a good choice for those who simply want to get down to game playing and are not interested in older versions of the Call of Duty series or the add-ons included in other versions. One for the purists and the lowest cost option. Legacy Edition – CoD: Infinite Warfare Legacy Edition may well be the most popular choice amongst gamers. It includes the brand new Infinite Warfare version of the game, along with a remastered version of Call of Duty 4: Modern Warfare. This new version of CoD: Modern Warfare has been remastered to take advantage of the latest in high-definition graphics. This offers better rendering, enhanced textures and more varied and realistic lighting. The remastering process has brought this classic CoD game fully up to date for a better gaming experience. It typically costs around £15 more than the standard version, so you are getting that remastered game at a very reasonable price. There is no other differences between the standard version and the legacy edition. Digital Deluxe Edition – This is one of the top of the range versions and is available at the Xbox and PlayStation stores as well as Steam. You can also buy a digital code for this version at some stores. With this version, you get Call of Duty: Infinite Warfare, Call of Duty: Modern Warfare Remastered and Call of Duty: Infinite Warfare Season Pass. The Season Pass will allow gamers to download four epic map packs over the course of 2017. These will include additional zombie content and completely new multiplayer maps. The other top-end version of the game is Call of Duty: Infinite Warfare Legacy Pro Edition. With this you get you get CoD: Infinite Warfare, Call of Duty: Modern Warfare Remastered and Call of Duty: Infinite Warfare Season Pass. 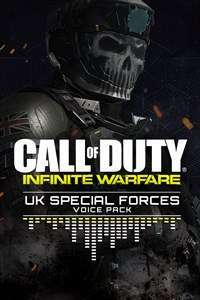 You also get Call of Duty: Infinite Warfare Bonus Content, such as the Infinite Warfare Soundtrack and additional digital content. It comes in a collectable steel book for game storage and will appeal to avid fans of the series. The different versions all build upon the content of the standard edition, offering more as you progress. Which version to buy depends on what content appeals most to you. You can find out everything you need to know about each version on the official site at www.callofduty.com/infinitewarfare. Campaign Mode – In campaign mode, Call of Duty: Infinite Warfare builds on the proven gameplay of earlier versions but adds new mechanics to cope with the zero-gravity environments found in the game. To achieve this, you are kitted out with a grappling hook and a boost pack. You play as Captain Nick Reyes, a special ops pilot, flying his Jackal transforming fighter. The aerial combat is pleasingly free-form, with little feeling of being stuck on rails. This, along with the traditional boots on the ground combat, form the game's main gameplay modes. From the Jackal, you can access the central hub world of Retribution. Here you can carry out campaign missions and ship assaults to win upgrades and customisations for the Jackal. A YOLO mode (You Only Live Once) ramps up the difficulty and prevents health regeneration without Nano Shots. When you are killed, you must restart the game from scratch. Multiplayer Mode – Multiplayer mode is one of the areas of CoD: Infinite Warfare that has enjoyed a comprehensive overhaul. It now has six different Combat Rigs. These are environments that are designed to suit different playing styles, such as players who enjoy playing stealthily or those who prefer an all action running and shooting style. This means you can play in these environments with users who share your preferences, giving you a more enjoyable gaming experience. There are literally hundreds of weapons available and players can earn Salvage points which can be used to buy prototype weapons and gain gameplay advantage. Zombies Mode – Call of Duty: Infinite Warfare also has a Zombie cooperative multiplayer mode. This shares core gameplay features with the standard game but is designed to be easier for new players. It has its own mechanics and storyline, quite separate from Campaign Mode. It doesn't have the zero-gravity space environments that we see elsewhere in the game but otherwise it is a good way to get to grips with the game. Call of Duty: Infinite Warfare goes directly up against Battlefield 1 in the contest for best FPS (first person shooter) so what are the pros and cons of each? One of the biggest differences is in the setting of each game. As we have seen above, Call of Duty: Infinite Warfare is set in space, with some interesting zero-gravity environments. Battlefield 1, on the other hand, offers a far more traditional gaming setting, that of the World War I. Some early players of CoD: Infinite Warfare reported missing the traditional war environment, so they may be drawn to Battlefield 1. In Battlefield 1 you don't get any fancy futuristic weapons, robots or vehicles, just good old-fashioned mechanics and even horses. Space warfare or the European battlefields of WWI, the choice is yours. In terms of gameplay, the space environments of Call of Duty: Infinite Warfare make for a less linear gaming experience, with the action going on all around you. It kind of moves the game into 3D, with action taking place above and below you, as well as around you on a traditional flat gaming surface. Zombies Mode takes place in an 80s-theme park, adding real humour to Call of Duty: Infinite Warfare. As far as weapons go, those in Battlefield 1 are traditional but still many and varied. With Call of Duty: Infinite Warfare, you get futuristic weapons and prototypes, lots to get your teeth into. In Campaign Mode of CoD: Infinite Warfare you are, for the first time in the series, in charge of your missions. This gives you a lot more choice and adds variety to the game, as you decide which missions to carry out and how to approach them. The overall story of Call of Duty: Infinite Warfare is like an epic film. Battlefield 1, on the other hand, consists of lots of smaller scenarios and different perspectives from playing as different characters. Multiplayer modes in both games offer lots of choice of environments and missions and apart from the obvious fact that the ones in Call of Duty: Infinite Warfare are futuristic, there is little to choose between the two. That, in fact, could sum up the comparison between the two games. They are both excellent and have a huge variety of options but Battlefield 1 sticks to traditional environments and weapons, while Call of Duty: Infinite Warfare moves into the future. It really is a matter of personal preference as to which theatre of war suits the player best. Campaign Mode: In single player campaign mode, you should consider taking part in side missions. These will help you gain experience of fighting the SDF and will also unlock perks to improve combat efficiency. Also seek out armouries, usually found close to enemy ships. Inside there is a console you can activate to get equipment upgrades. The best way to win fights in zero-gravity situations is to use your grappling hook to pull yourself into the fray. Zombie Mode: Use the Pack-A-Punch machine to improve your weapons and gain special properties. You are going to need a lot of ammo in this mode, as killing the Zombies can take lots of bullets, so make sure you have enough money to buy as much ammo as possible. When you get to Zombies in Spaceland, look out for the robot, N31L. Find the head and stick it back on the robot's body to activate challenges that will gain you valuable tickets. Multiplayer Mode: Complete you Mission Team Objectives. Doing this will win you rewards, such as prototype weapons and extra salvage. You will also get into different game modes, gain experience and be rewarded for trying out different environments. Combining complementary traits and perks can also lead to a significant power boost. Use salvage or supply drops to gain prototype weapons. These are the most powerful in the game and will give you a significant combat advantage. Also, be selective in opening weapon crates. Wait for the 30-key ones instead of simply going for the early 10-key crates. At trustedreviews.com they give the game 7 out of 10. They like the Campaign mode and think that the visuals of the game are also superb. The voices are great and the zombie in Spaceland environment is fun. The downsides are that the Multiplayer aspect of the game is not as good as it has been in previous versions and progress through the game can be a bit of a grind. They also point out that the star actors who are advertised as voicing the game actually play a very small part in the overall narrative. Metacritic.com brings together a number of different critic reviews and also hundreds of user reviews. The critics score the game at an overall 78%, while users score it at a fairly low 3.4 out of 10. The critics generally like the space aspect of the game and they praise the overall storyline of a battle for the solar system. 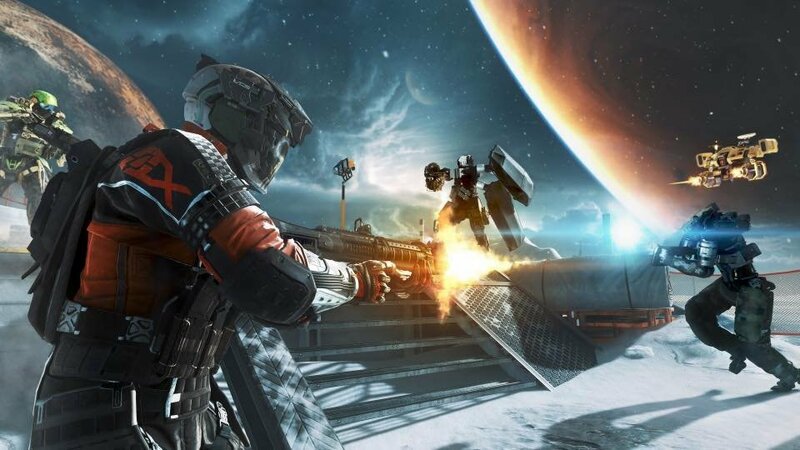 Users are far more divided on the wisdom of taking the gameplay into space, with many pining for more traditional battlefields. 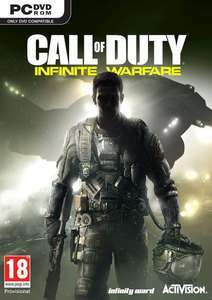 CoD is one of the world's best-selling games, so it is widely available online and on the High Street. Online you can pick up your chosen version at gamespot.com, Amazon, Steam, eBay and lots of other specialist sites. On the High Street, you can get a copy at any of the big supermarkets, plus Argos, John Lewis, Toys R Us, GAME and Smyths Toys. If you´re looking for the Call of Duty best price it´s probably a good idea to wait for the big shopping events at the end of the year and the beginning of the next. Most UK retailers are participating in Black Friday and Cyber Monday at the end of November and slashing their prices on games and a lot of white goods. In the run-up to Christmas and the January Sales it´s also likely to find good Call of Duty deals - so if you can wait or the time is ripe the bargain will be yours. With so many vendors, different pricing and Call of Duty offers, it can be tricky to be certain of the best deals. That is where HotUKDeals makes life simple, with all available Call of Duty cheap prices on a single page.